One factor which drastically impact’s on how potential buyers see your property is pictures. Good pictures can transform an online advert. It is well known that over 90% of all properties sell as a result of being advertised online; portals such as Rightmove and Zoopla display your property in a simple format and almost everyone buying will be looking on them. Therefore it is a huge benefit to have good pictures, not only will it show your property in the best light but it will also make you stand out against the other houses. AXA revealed how not getting the photography as good as possible can seriously harm the perception of a property in the eyes of the public. Bad photography was linked to homes sticking on the market, and overall achieving a much lower sale price. This theory has been tried and tested by AXA. The results revealed that, when they showed the property to 500 members of the public before and after ‘staging’ it for photos the perception of value increased by 21%. To put it in real money terms that is the difference between your property selling for £180,000 or for £220,000; so it really is worth the little bit of effort. Combining simple ‘house staging’ with good quality photographs will make your property advert stand out and in the eyes of the market; helping to add value and reduce time on the market. Did Brexit uncertainty effect the value of your home in Cannock 2018? 2018 will always be remembered as the year where we were divided as a country. No matter which side, Leave or Remain your allegiance is with, we can all agree that the uncertainty about the future is a constant worry in all aspects of our life, whether it be personal or business. Amidst all this doom and gloom and the serious amount of fear mongering, what effect did this have on the local Cannock property market? Well, it seems not much. 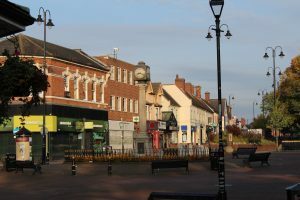 House selling prices rose in Cannock by 3% in 2018. This is an increase of 7% on 2016 when the average house price in Cannock was £167,000. 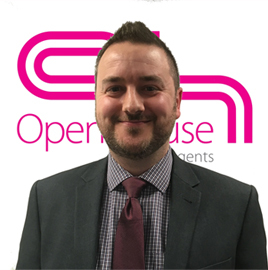 Overall most sales in Cannock over 2018 were semi-detached houses with an average selling price of £155,000 followed by detached houses with an average selling price of £252,000. In summary Brexit didn’t have a great impact on the local Cannock property market, a steady increase in house prices has been experienced with no solid information available to say this will change. The future based on recent behaviours seems good for the local market, if you are thinking of selling or letting your property, I would be happy to help with any advice you need. Selling or letting your property really isn’t that daunting especially when you have someone to help you. HS2- How it may affect us in Stafford? What Should Your Solicitor be Doing? That’s far too cheap to do it properly, isn’t it?